A field vehicle can be just a means of shuttling gear or a home away from home. Most people think of a rough and tumble truck tackling aged logging roads, but depending on your needs and your discipline, something different might play the role. For instance, I work relatively close to home as all of my field sites are less than three hours away by highway and any sample collecting occurs on the water, generally in a borrowed boat (something this series will come to later). The main features I need in my vehicle are much the same as a traveller through the Outer Banks: good gas mileage, a place to lock belongings away while I’m away from the car, and something that’s easy to clean once I return home. Good gas mileage is especially key for me because all of the fishermen I work with consider me part of their community, therefore expect me to arrive at a moment’s notice for a community meeting, an impromptu fishing trip, or to pick up samples. We call those trips “bounce trips” and involve a lot of time in the car. The place to lock stuff away, in my case the trunk, gives me a place to hide the GPS, iPod, computers, and any other expensive gear I don’t take on the water. It also provides a somewhat cooler spot to keep fish samples from previous expeditions and any extra food I might have stashed. Therefore, I can leave my car parked all day and occasionally all night and not worry about it getting broken into. 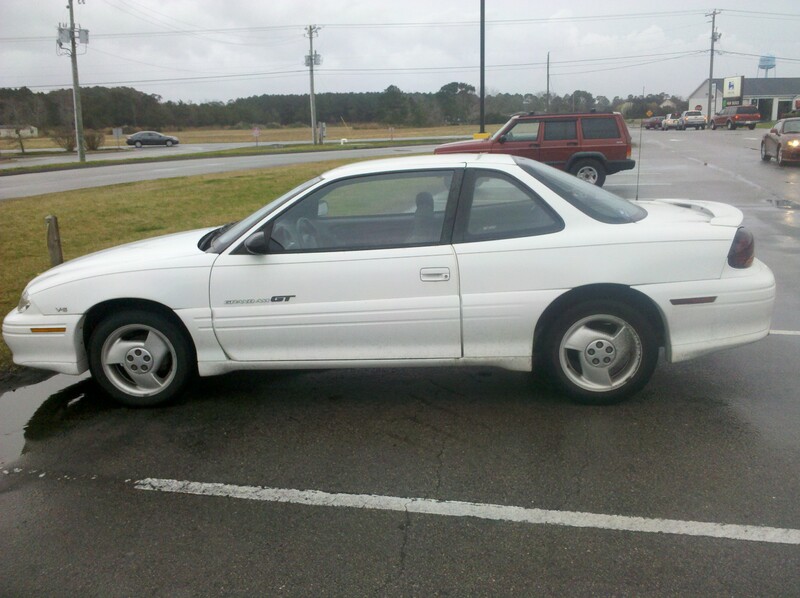 It also helps that my car looks like a grad student car – that is, not a prime suspect for being worth stealing from. The third aspect is especially important working in a coastal environment like I do. Anyone who’s been around sand can likely sympathize with the ability of sand to find its way into every nook and cranny. I appreciate the fact that my car floors are covered with mats that easily come out for a good shake. And occasionally, when the car gets that distinct field funk, it’s also relatively easy to vacuum or shampoo, especially if I’ve restricted said grossness to the trunk. Now that I’ve supported the utility of a car as a field vehicle – one caveat. If you intend to tie a canoe or kayak to the top of the car, make sure that the roof is flat. As I’ve discovered via the laughing sales guy at REI, sports cars just don’t have the shape for racks. Even if you can shell out the extra $900 for the special adaptors, the car would look silly. Utility: 4. Unless you work in an urban setting and don’t have much gear, you’ll need something to get around. Durability: 3. Cars require maintenance and care, but can last 10-15 years if you treat them well. Comfort: 3.5. There’s no way to avoid that feeling of being in a car all day, but it can be a little piece of home while traveling. Price: $$$. Cars are expensive to buy and expensive to maintain, but there are savings over the truck options both in terms of outright cost and gas money. I trained as a molecular virologist at an urban university, so my research vehicle consisted of a pocket full of subway tokens for commuting, but I do have a suggestion about the boat. Get a car that can tow a small trailer. It’s surprising how many can (though the manual may claim otherwise). My VW New Beetle, for example, has a 2,200-pound towing capacity, the same as the Jetta and Golf models that share the same frame and engine. It also takes roof racks, despite the radically curved top. U-Haul will gladly install the hitch receiver for a couple hundred dollars. I wouldn’t recommend the Beetle for other reasons (crummy mileage, inadequate interior space, spotty reliability, uniformly incompetent dealer service), but there are other compacts that can tow. Of course, a Beetle towing a trailer or hauling something on its roof looks absolutely ridiculous, but that’s never been much of a barrier for me.